In a recent blog post, we explored how Disney’s Tangled portrays a narcissistic parent, Mother Gothel. In this post, we will take a closer look at this relationship from another angle: 5 common traits of adult children of narcissists – AKA, Rapunzel. For some of you this will probably feel very familiar, and maybe not in a pleasant way. If that’s the case, take your time and be gentle with yourself. Really accepting how a relationship has shaped you can be a lot to take in sometimes, so be kind to yourself it this is hard. Ok, ready? Take a deep breath, tuck that 70 feet of blonde hair into a sock bun, and here we go. Rapunzel is a optimistic, bubbly, and naive young girl. She has literally and figuratively led a sheltered existence locked in a tower in the middle of the woods. She has no contact with any human other than her abductor and parent-figure until a thief stumbles upon the tower while looking for a hiding place. Mother Gothel has kept Rapunzel in the tower by painting a picture of the world as a terrifying, unsafe place to keep Rapunzel from exploring the world outside their little family. When she does finally decide to leave, the impact of her imprisonment shows up in how she responds to her newfound freedom. Rapunzel’s first few moments of freedom from her tower are both exhilarating and disheartening. She alternates between giddy glee and despair, feeling both joy at tasting freedom and nearly crippling guilt for her defiance. 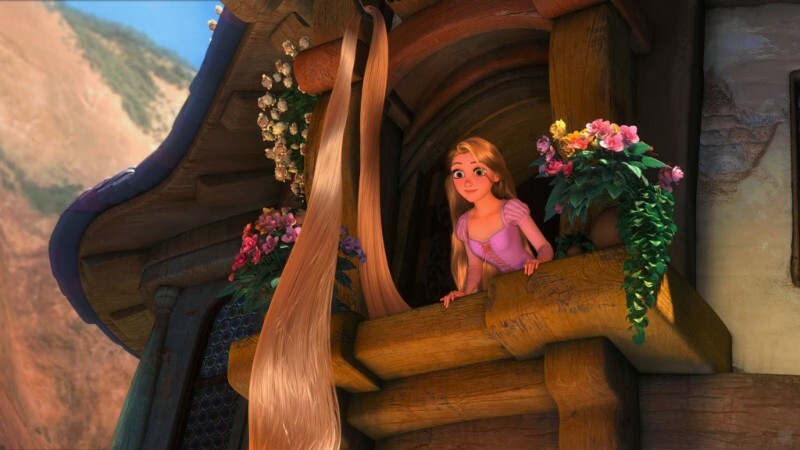 Rapunzel ultimately decides to brave the guilt, and begins to blossom as she gets further away from her prison. onsider their parents’ needs over all. It can be hard to consider their own without feeling selfish. This indecision and guilt can paralyze them for years before they are ready to take the risk and leave their towers. With little to occupy her time in the tower, Rapunzel develops her artistic, scientific, culinary, and creative skills to an amazing degree. Despite her talent and intelligence, however, she seems to have little belief in herself. When she saves herself and her companion Flynn from drowning, she seems genuinely shocked to find herself strong and capable. Why? s been filtered through Gothel’s need to keep her in the tower. There is no place for a strong, confident Rapunzel in this world. Adult children of narcissists often believe they have little to offer the world. Their talents and skills may have been ignored, downplayed, or co-opted by a parent who felt threatened by them. Even when they achieve outward success as adults, they may not feel they deserve it. For those who have never had the opportunity to celebrate their strengths, it can be hard to really believe in themselves. Rapunzel is a caring, compassionate young woman. She is loving and loyal, and innocently believes that Mother Gothel has also given her life over to protecting Rapunzel. Rapunzel does not see that Mother Gothel has ulterior motives until it is nearly too late. When Rapunzel does realize how she has been lied to and manipulated, she is hurt and angry. She rejects Mother Gothel and tries to escape, but doesn’t make it this time. Despite the lies and abuse, Rapunzel tries to save the sorceress from herself in the end. As Mother Gothel stumbles and falls from the tower window, Rapunzel reaches for her as if to pull her back. Even after the years of lies, abuse, and manipulation, it is often hard for adult children of narcissists to stop trying to take care of their family member. They may still feel loyalty to their family of origin, and often do not want to hurt their loved one. After recapturing Rapunzel, Mother Gothel plans to take her to an even more remote location where there is no chance of future escape. To ensure that her secret remains safe, Gothel stabs Flynn as he tries to rescue Rapunzel. Faced with losing Flynn or losing her freedom, Rapunzel offers to go willingly into captivity if Mother Gothel will allow her to save Flynn’s life. Flynn recognizes that Rapunzel is sacrificing herself into a life of slavery. He refuses her gift and cuts off her hair, eliminating the power that Mother Gothel sought. In that moment, Rapunzel’s freedom is gifted to her by someone refusing to take advantage of her. While I wish Rapunzel could have been the one to make that choice, I appreciate that this is true to the experiences of many adult children of narcissists. Some adult children of narcissists are self-sacrificing to a fault, following their training to meet another’s needs first and foremost. Changing or escaping a narcissistic relationship is often made feasible by a supportive, caring friend or family member lending their strength when our boundaries waver. Rapunzel may not believe it of herself, but she is an amazingly strong, resilient, and beautiful soul. She makes connections and develops relationships with everyone she meets, charming even the militant palace horse and a den of thugs just by being herself. She is likable, smart, and appealing. Rapunzel maintains hope for tomorrow, and pursues her dreams even when they scare her. I hope that my adult children of narcissist clients realize how much they share these traits with Rapunzel. The ability to form loving relationships, to retain compassion and love for others, to learn to love and care for themselves – all of these traits speak to the capacity for growth and healing that they carry within. Rapunzel found the courage to step outside the confines and relative safety of her tower. Scary as it was, the pain of freedom was more than matched by the joy of it. Remember this, my dears, as you work through the knots and tangles and find your way to your own freedom.